Some useful external resources for cooking with children. A good place to start is our pinterest board where we have pinned over 100 recipes to try. Nothing beats the BBC Cbeebies programme, 'I Can Cook' for the largest selection of snacks and light dishes for cooking with pre-school aged children. Find them all here on BBC Food. The Tesco Eat Happy Project has a large selection of recipes for cooking with children from age 4 but some are do-able by younger. BBC Cook of the Year 2015 Jo Ingleby (one of my food heros) won because of her fantastic work bringing cooking to 2 to 4 year olds in an inner-city nursery. The BBC have put up a selection of her recipes and a useful article of tips. 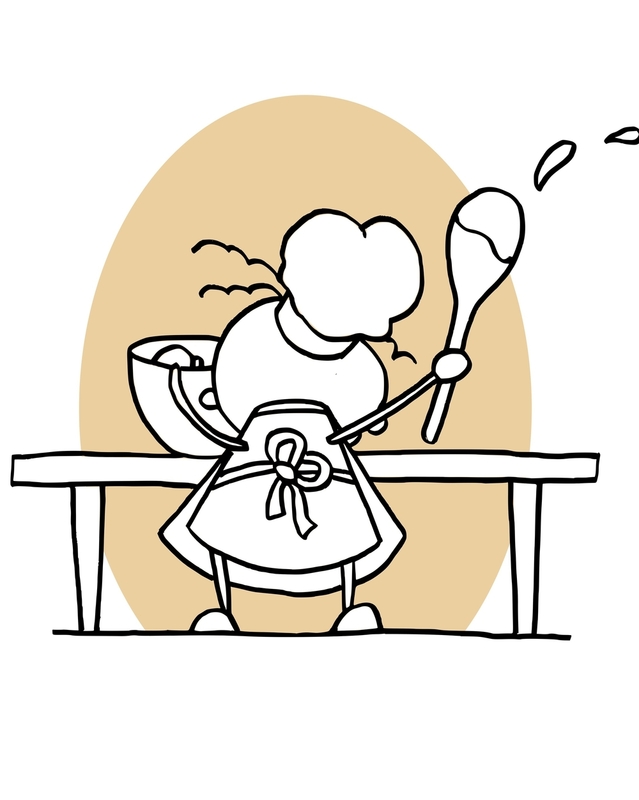 Some online sites with recipes for cooking with children: Mini Yummers, Handy Herbs, Kitchen Rules and Eats Amazing. Free From Farmhouse is a brilliant blog about bringing up a child with allergies. It has lots of information, free-from recipes and runs a weekly link-up that will help you find other free-from recipe resources. 3 Princesses and 1 Dude is a parenting blog which often has easy recipes to cook with children of all ages. They’ve also teamed up with LarabeeUK, Lukeosaurus & Me and other parenting blogs to produce the Kids Make & Bake Club on YouTube. This gives an easy craft or bake idea every week. Other parenting blogs that feature recipes for cooking with children are Mum, M and More, Raisie Bay, Three Sons Later, My Toddler Cooks and Clare's Little Tots. I believe in getting young children involved in everyday cooking at home as much as possible. But attending a class can be a great way to inspire you or your child and have some fun. Crafty Cooks are a nationwide network of cookery classes and starting at 2.5 years, are one of very few that run classes for under 3s. Go to products for some equipment recommendations for cooking with young children.